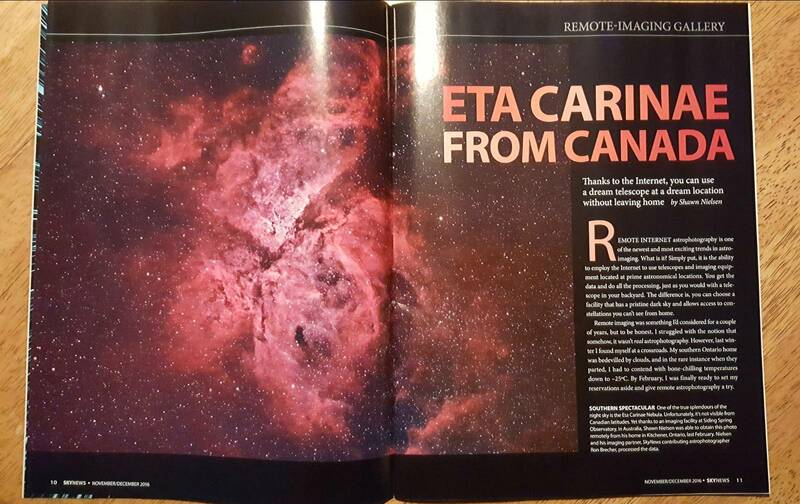 This image was published in Skynews Magazine (Canada), Nov/Dec 2016 issue. A spectacular globular star cluster of the southern hemisphere, Omega Centauri NGC 5139 is located in the constellation of Centaurus and was first identified by Edmund Halley (of Halley’s Comet fame) in 1677. We’re starting to have more clear nights here in southern Ontario now that Spring has arrived and with temperatures that are accommodating to being outside. While I’ve had the opportunity to roll out my own astrophotography gear and do some imaging of M81 (it is galaxy season after all) I’ve also found myself still lured to the dark “under” side… of Siding Springs Observatory in Australia… during stretches of cloudy nights. 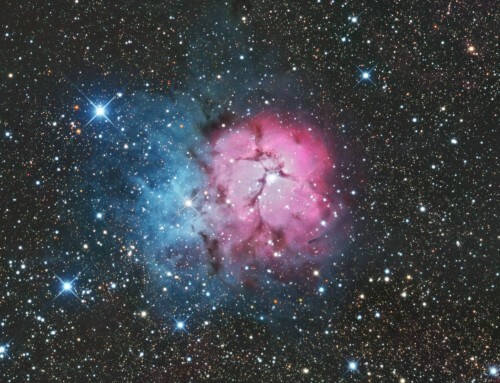 This time I used the iTelescope T32 17″ Planewave CDK astrograph coupled with an FLI Proline 16803 16mp mono CCD. 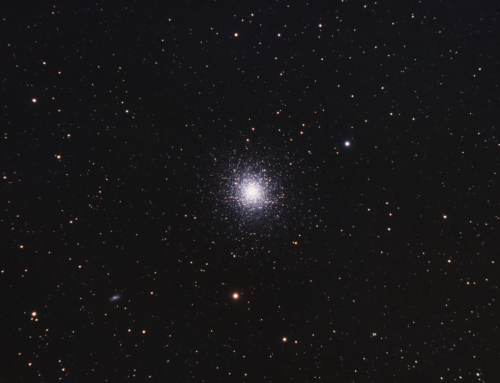 Now I’ll admit to be being one of astrophotographer Ron Brecher’s friends who gives him the gears about his love for and images of globular clusters. Are they really that spectacular as Ron proclaims? lol – It’s an ongoing debate with lots of good ribbing! Well folks I may have egg on my face now. 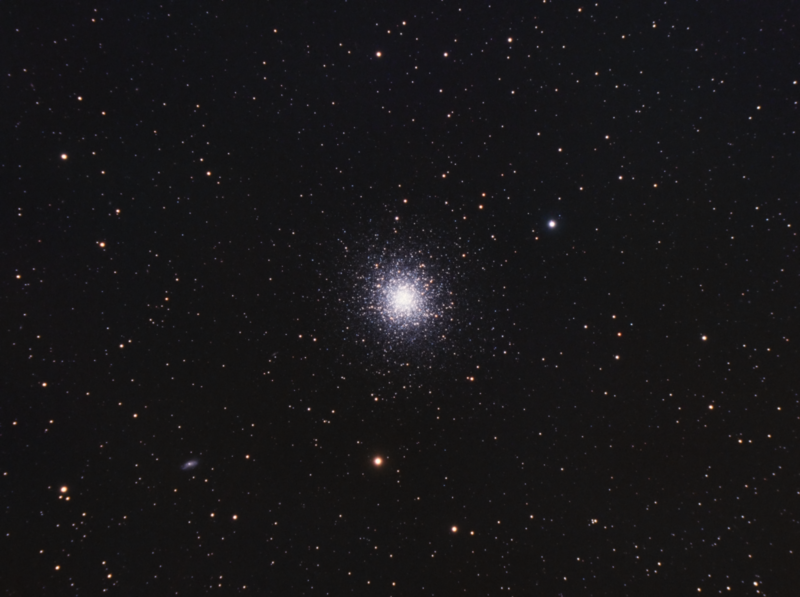 It was in talking with Ron one night about southern hemisphere objects, that I had the urge to set up an imaging script on the 17″ Planewave and take a few exposures of the largest globular star cluster in the Milky Way – NGC 5139. It didn’t disappoint! It’s a fantastic result for a mere 18min of data. But that is the beauty of imaging clusters, you don’t necessarily need hours and hours of data to achieve a wonderful image. 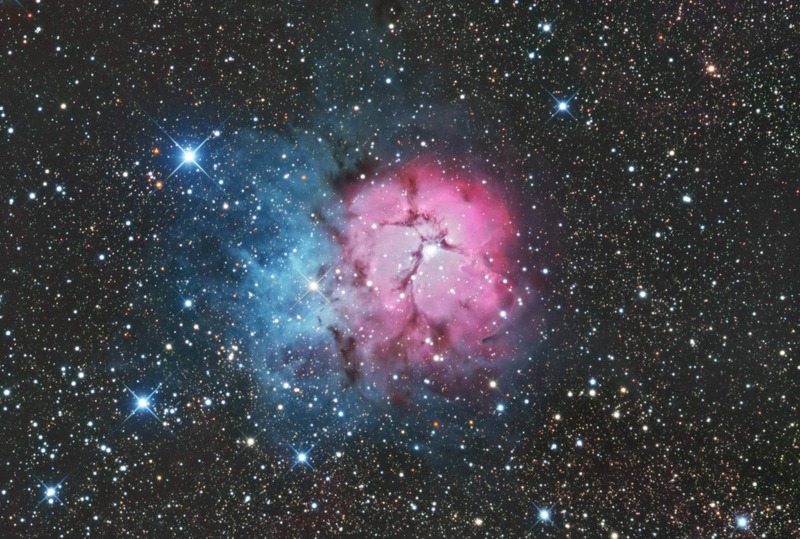 The shorter imaging time needed can even make it possible to enjoy imaging several clusters in the same night. At a distance of 15,800 light years, Omega Centauri is the largest globular star cluster in the Milky Way with a diameter of 150 light years and contains approximately 10 million stars. 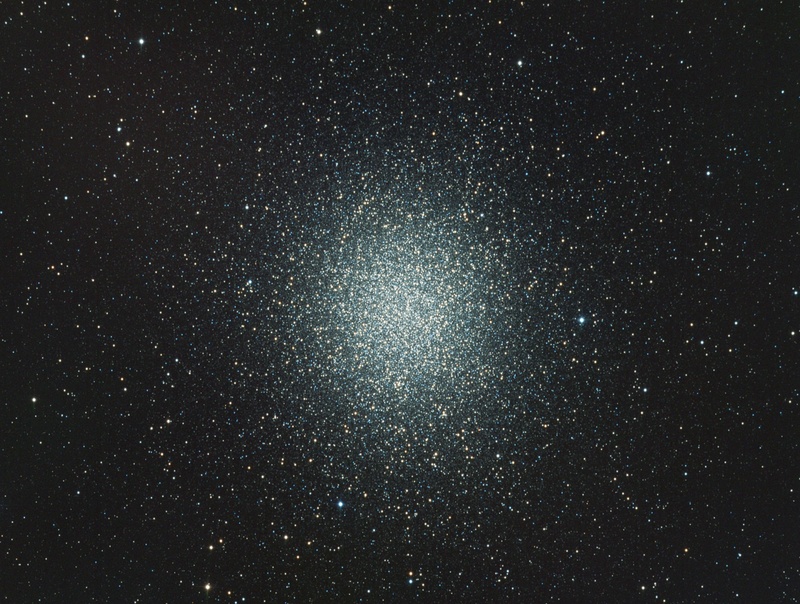 The Omega Centauri globular star cluster is one of the few visible with the naked eye. It is bright enough that when viewed from a dark rural area it appears to be almost the same size as the full Moon in the night sky. 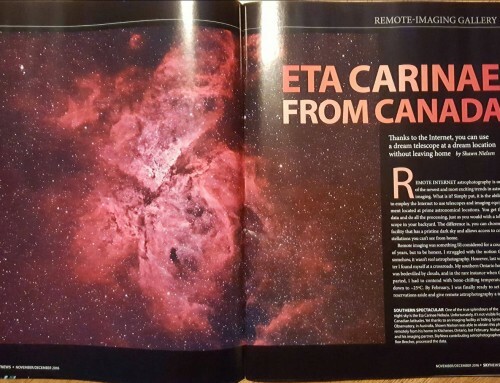 Having egg on my face now within the debate between Ron and myself, since I imaged Omega Centauri, it was pointed out to me by Gary Seronik, Editor of Sky News Magazine (Canada) that as the theory goes I may not have imaged a globular star cluster after all, but the core of a disrupted dwarf galaxy! Ha! LOL. That is one speculation within the astronomy community that Omega Centauri maybe the core of a disrupted dwarf galaxy and the other yet confirmed theory is that of a massive black hole is at the center of NGC 5139. The data for this image was collected on March 23, 2016 using a remote 17″ Planewave telescope located at Sidings Spring Observatory in Australia. Maxim DL Pro 5 for camera control, acquistion and guiding. Focusmax.